De means 'at the outset' and Hana 'coming out'. 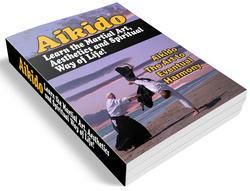 This is similar to Senno-waza but in this case the attack is made just as the opponent starts to move. The most common form is a cut to the Kote, just as the blade thrusts forward to begin the attack and this is known by the short form of Degote. 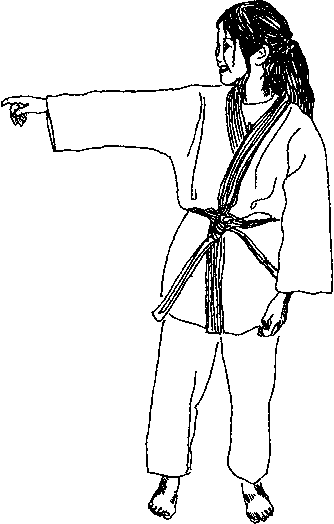 Dehana-do is taken just as the opponent raises his arms and clears the Do and of course any combination of attack against any movement may be made as appropriate. The reverse of Dehana is Oi or 'following' in which an attack is launched to follow a retiring opponent. It is common practice to step backwards and forwards rhythmically in practice or contest and attacks made on the advancing step are classified as Dehana whilst those on the retiring step are classified as Oi-waza.